On Saturday I went into Philadelphia for the home brewing contest at Triumph Brew Pub in Old City. The contest was organized by beer type then the top two beers of each style advanced to the final tasting. Our friend Jerry Caruso brewed a fig Belgian beer that I thought should have won best of it’s category but the judges didn’t see it that way. After the judging rounds everyone was able to go around and taste all the various beers that were in the contest. After Triumph we moved over to Fado’s Irish Pub for a few drinks. After Fado’s we went over to The Dandelion. I love The Dandelion for their cask ale selection. Saturday was no different. They had three on cask that were delicious. 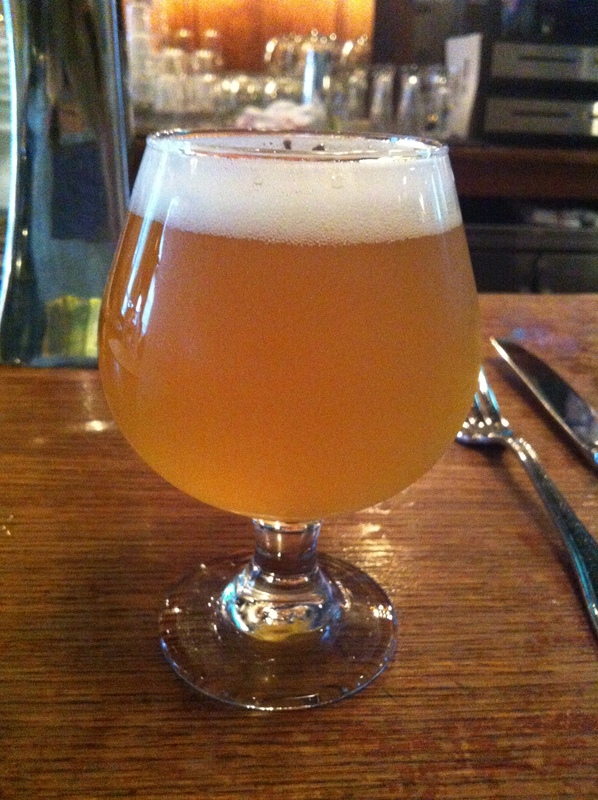 However it was a session ale by Victory Brewing that turned out to be the highlight of Philly Beer Week for me. 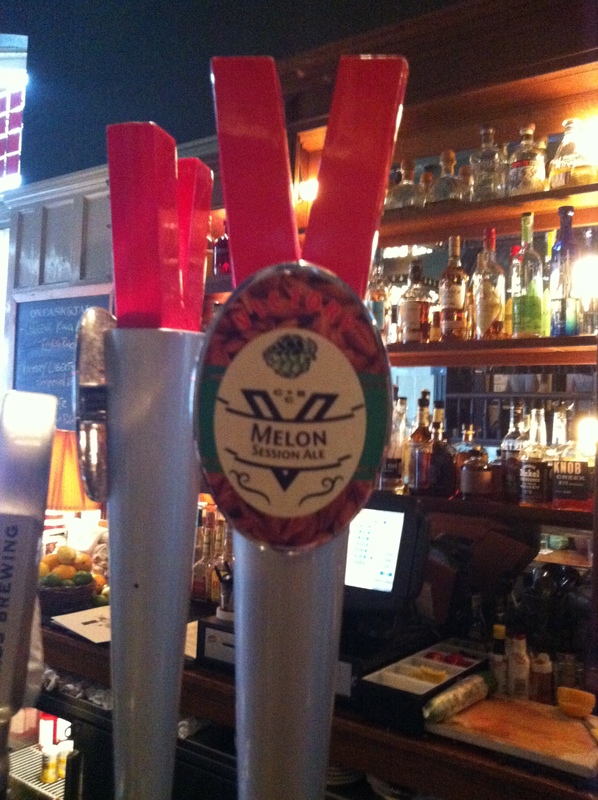 The beer was called Melon Session Ale, it had a sweet start but finished like a good pale ale. After talking to our bartender Chris we learned the unfortunate news that Victory may not make this beer again. If you have had the pleasure to try this beer, or if you have not but would like to try in please shoot Victory and email at brewmaster@victorybeer.com and let them know you would like them to keep making this great summer beer. On Friday night I went over to the Dogfish Head tap takeover at Uno’s Chicago Grill in Bensalem, PA. I ordered one flight and one 120 minute IPA. The flight contained four beers. Sixty-one, Black and Blue, Burton Baton, and Palo Santo Marron. The Sixty one is twist from the 60 minute ipa and uses the same ingredients plus the addition of Syrah grape must. I enjoyed this beer, it was very easy to drink and had great flavor throughout. 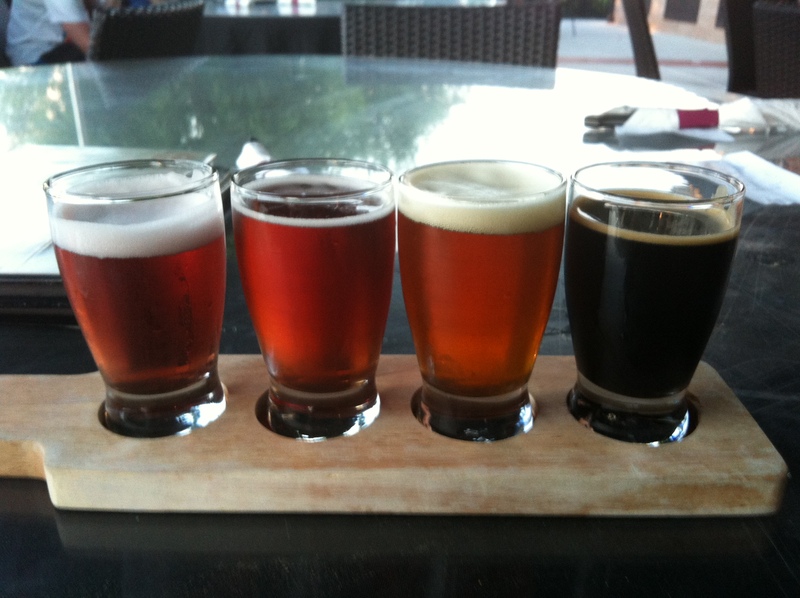 The second beer in the flight was the Black and Blue. The Black and Blue is a Belgian-style golden ale fermented with black raspberries and blueberries. This beer was a little too sweet for my tastes. 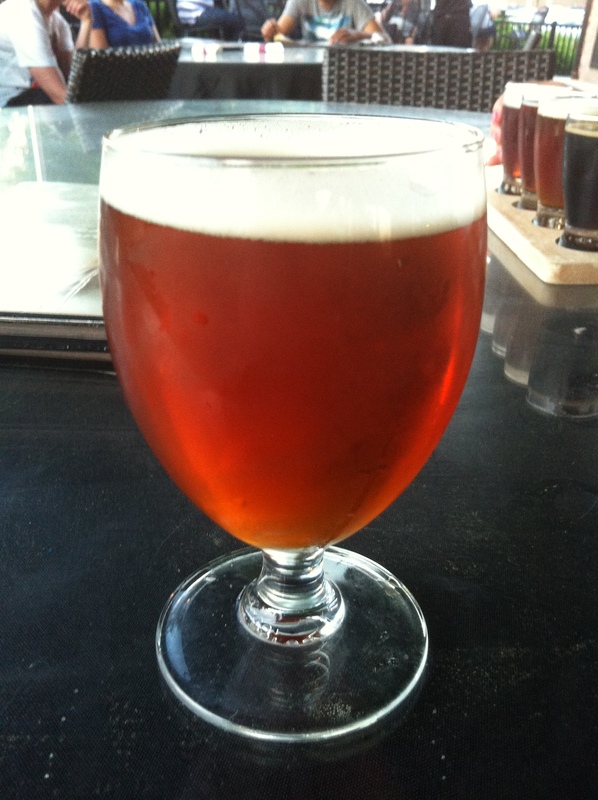 The third beer was the Burton Baton, an oak aged English old ale Imperial IPA hybrid. This was my favorite beer of the flight. It had a great hoppy taste and nice accents from the oak barrel. The final beer of the flight was the Palo Santo Marron brown ale. This beer is a great winter beer so the fact that it was 90+ degrees when I was drinking this took away a bit of the enjoyment but overall it was a good ale with hints of vanilla and caramel. I’m probably going to get torn apart for this but I was not the biggest fan of the 120. The first sip is good with a great IPA flavor but I feel the aftertaste kills the beer. I find it tastes like someone dropped a shot into the beer. I know this is a high alcohol content beer but I’m just not a fan of the after taste. Overall I enjoyed the my first event of Philly Beer Week and look forward to the next one. Philly Beer Week starts today and runs through June 9th. During this time you will be able to sample all types of beers at different venues throughout the city and surrounding suburbs. You can find the full schedule for Philly Beer Week Here. I have only lightly glanced over the calender of events but there are a few that I am trying to make. On June 6th at Issac Newton’s in Newtown, PA the is a Founders tap takeover. Founders makes some great brews, two of my favorite are their all day IPA and their Kentucky breakfast stout. 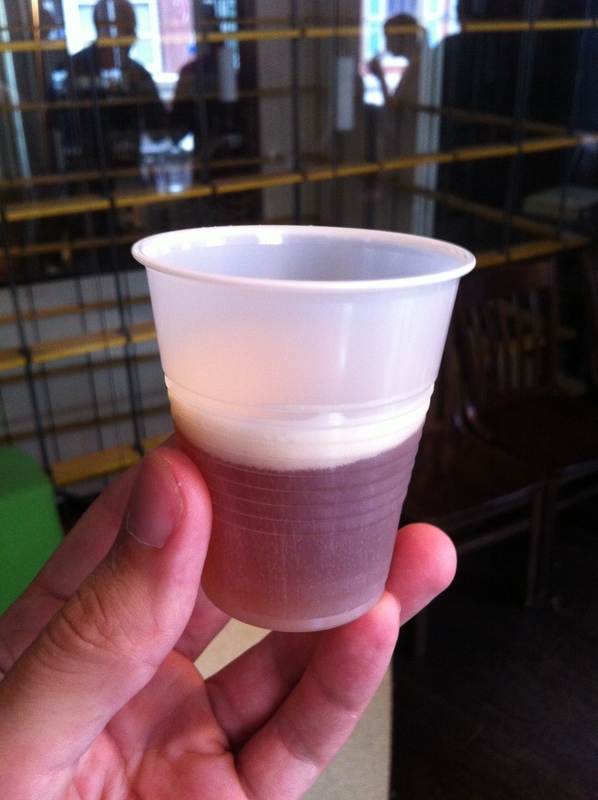 As I attend Philly Beer Week events I will write posts about the beers and the breweries. This should be a fun week and I can’t wait to try some new beers.